When you started your carpet cleaning business, you probably had a plan in place. 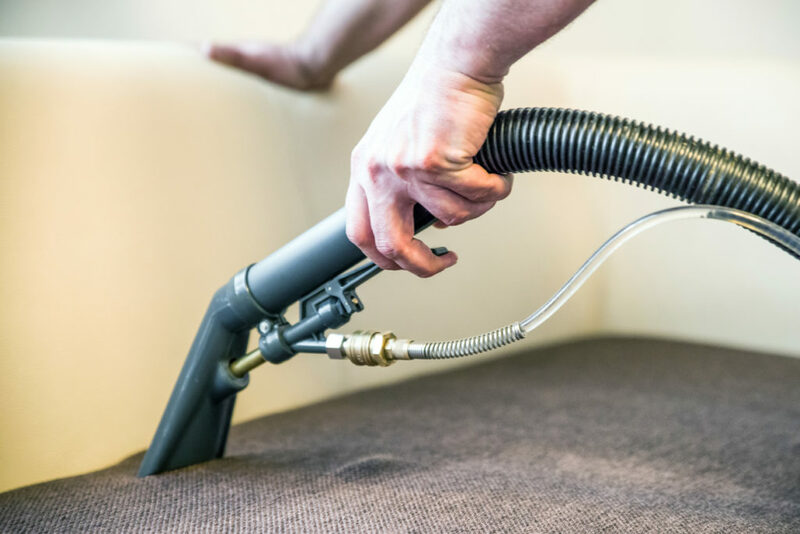 Because while anyone with a powerful vacuum cleaner and a closet full of chemicals and sprays may think they’re a carpet cleaner, you know that carpet cleaning actually has a lot of work behind the scenes to keep your business growing. Carpet cleaning insurance is one important piece of the puzzle, but it’s not the only one. Stayed consistent in your market and service description – whether you’ve built your business based on the types of customers you’d like, and the types of services you provide them (deep cleaning, stain removal, annual refresher, etc.). Met your milestones – whether you defined them as the number of jobs per week or per year you’re working, how many new customers you’d like to add per timeframe, and other similar benchmarks. Kept some money in reserve, just in case something unanticipated happens. If you’ve checked off all of these, then you’re already definitely in growth mode. Now you’ll have to re-evaluate where you stand, where you’d like to go, and address a few matters along the way to get your business booming. You’re aiming to make more money from your carpet cleaning business, preferably in less time. There are numerous ways to boost any business, but for a carpet cleaning enterprise, there are four top tips to keep in mind. In order to grow your carpet cleaning business, you may want to consider your personnel. If you want to be able to take on more jobs, your current employees will either need to take on more hours, or you’ll need to hire more people. If you don’t yet have employees, now may be a time to consider hiring. Keep in mind that by expanding your business, you’ll also need to add equipment, as well as cover additional costs like insurance for a larger workforce. To expand your business, and keep those additional workers busy, you’ll need to reach more customers. In order to reach more carpet cleaning customers, you will likely require more marketing. As you’ve likely realized, setting fees for your services is no easy business. And once you’ve set your fees, it’s not always comfortable to increase them. While you may worry that you’ll lose customers if you increase the rates for your services, this is not a reason to hold you back. Experience has proven that in all likelihood, most customers will stay with you if you increase rates by 5-10%. After all, the price of living itself goes up over time, and your business needs to keep up in order to survive. Existing customers, additionally, are often more loyal than you’d think. If they’re happy with your service, they’re unlikely to go searching to replace you over a relatively small sum of money, especially considering most private individuals don’t clean their carpets more than once or twice a year. Larger organizations you work with on a more frequent basis will also most likely accept a small increase, though in this case you’ll need to give decent advance warning for it to go over well. Check out our full piece on this topic for more details and tips. Once you’ve got your foot in the door and booked a new customer for your carpet cleaning business, you’ve got yourself an opening. Use this to your advantage and offer each customer more than just a basic one-time cleaning. Want customers to clean their carpets or furniture more often? Offer some sort of loyalty plan. You can give a bulk discount for committing to a certain number of cleanings in advance, or you can have some sort of punch-card system along the lines of “Buy 5 cleanings, get 1 free”. Want to add more revenue streams? Think up-sell and cross-sell. Up-selling means that if you’ve been called to a home to clean the living room carpet, look around and offer your services for the rest of the space; is there a couch that needs a cleaning? Do you see another rug in a different room that needs some care which you could offer on the spot? This is even more effective when clients see how beautiful a clean carpet looks and feels, and since you’re already there, it works out well for both of you. When it comes to cross-selling, you can start offering complementary products like air fresheners, handheld vacuum cleaners, or even furniture brushes. Or you can add services like window cleaning, sofa cleaning, or even lawn care. Just make sure you’re equipped for any extras you take on; and don’t let the add-ons to distract you from your main business offering. Because at the end of the day, customers called a carpet cleaner for a reason, and if you want to grow your carpet cleaning business, you’ll need to excel at that.